Psueodonym of Mabel Winifred Knowles. Born in London in 1875. An extremely prolific author, mainly of adult romances and general girl's adventure stories with romantic elements. She was also a tireless church-worker and used the proceeds from many of her books in her endeavours. As far as I know only wrote three pony books: a pair of books about Exmoor ponies Heather and co. in the typical 'pony-point-of-view' style of the time, plus one other horse story. 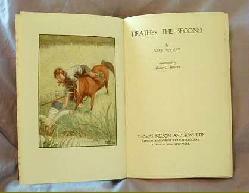 The first book was actually written before the 1920s so has the claim to fame of being one of earliest ever pony books! She was pioneering as one of the first women to write science fiction (under the psuedonym of Lester Lurgan) including a novelisation of a silent film, Message From Mars. Also wrote under the name of Bryan Smith. SUMMARY: Pony point of view story about Exmoor pony Heather. 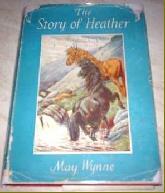 SUMMARY: The story of Heather's nephew Pixie and his exploits when he leaves his Exmoor home. 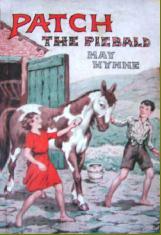 As far as I know only hardback editions published. The books are reasonably easy to find on the internet, as they were reprinted a number of times, although they are much harder to find with jackets. SUMMARY: Pony point of view story about a pony who is rescued from a circus. Patch is a lot rarer than the Heather books, but is not usually very expensive to buy, perhaps due to the lesser known status of the author to pony books collectors.